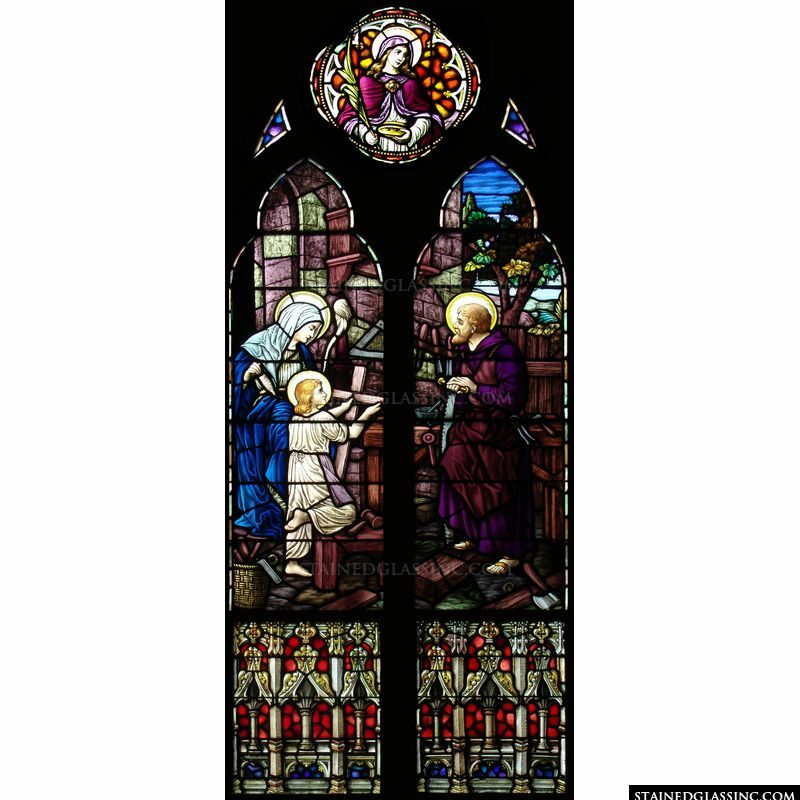 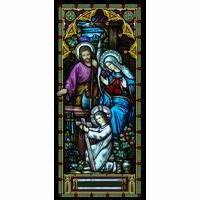 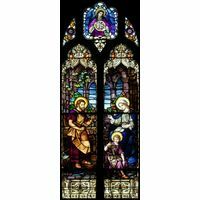 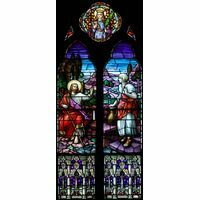 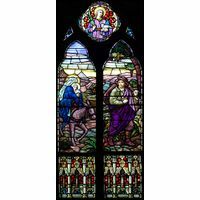 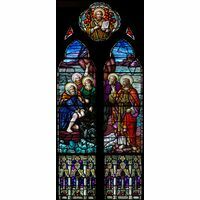 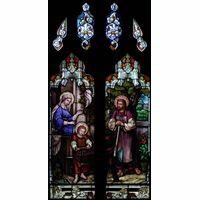 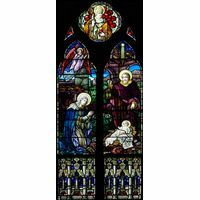 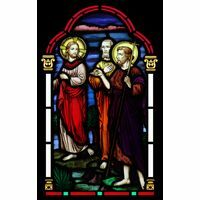 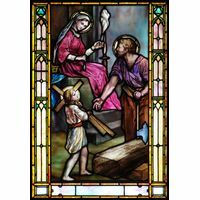 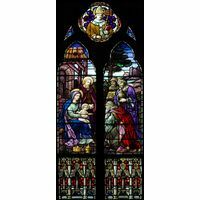 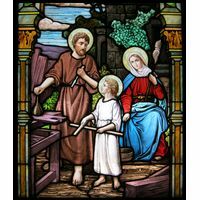 This inspirational stained glass window panel illustrates a loving picture of the Holy Family going about their daily duties, including the carpentry work of constructing a small cross. 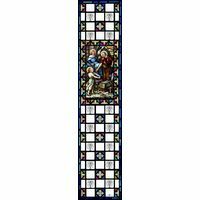 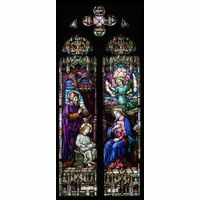 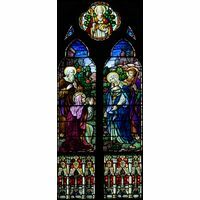 Designed in the style of the great old world windows of European cathedrals, this work of stained glass art includes elegantly arched dual panels crowned with a portrait of Saint Lucy. 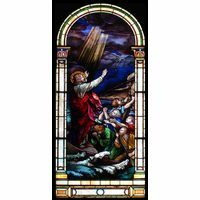 Shot through with breathtaking, rich hues that cross the full palette of color and featuring light capturing natural textures that reflect the shifting shades and patterns throughout the day, this lovely work is brought to life for admirers by the realistic, moving imagery. 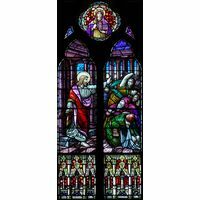 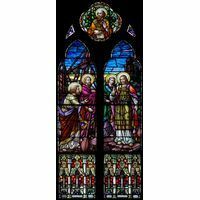 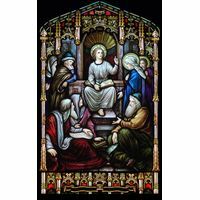 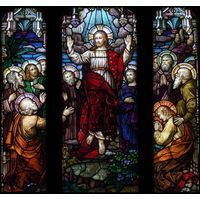 From the expressive faces of the central figures to the meticulous details of the surroundings, this exquisite scene dazzles the eye and touches the heart, making it perfect for inclusion in church, chapel, shrine to Saint Lucy or as a signature piece for home decor.